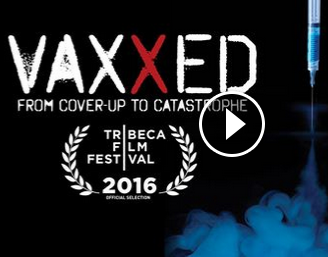 Vaxxed documentary withdrawn from Tribeca Festival – Why? UPDATE: Since this article was written, Vaxxed has had its premiere and ongoing screenings in Australia and now its premiere in NZ is scheduled for Auckland on April 2. On March 25, 2016, this website reported on how a new documentary on an vaccination-autism cover-up Vaxxed; From Cover-Up to Catastrophe had been selected for the prestigious Tribeca Film Festival. According to investigative journalist Jon Rappoport, Robert de Niro has an autistic child, and in the article that you can read at the link below, he speculates whether threats may have been used to persuade the festival organisers to withdraw Vaxxed from the testival programme. Vaxxed: How did they threaten Robert De Niro? Ed note: If you think the issues raised in this post are important, please like and share this piece with friends and family. Thank you. A link to the trailer for the film may be seen on the above Facebook page. Our online shop, where you can buy printed and PDF copies of our magazine (and also download free samples of articles from different issues) is here. Join our mailing list to receive the latest news and updates from the team at The New Zealand Journal of Natural Medicine.